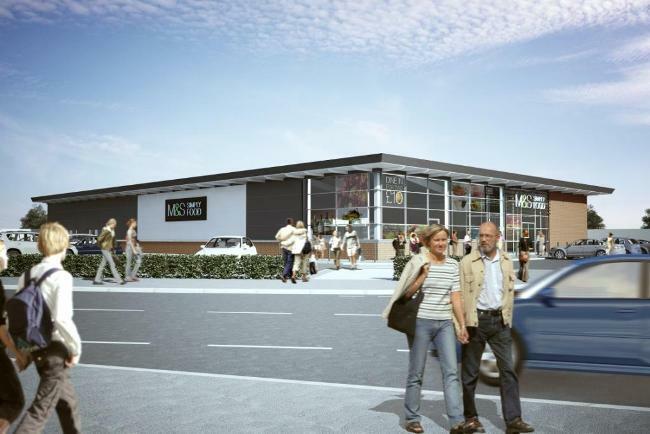 Lateral Property Group announces that it has completed the forward funding of a new build M&S Simply Food store in Reading to a major UK pension fund for £9.2 million. Lateral obtained planning permission for the new 15,000 sq ft store in November last year and M&S will be taking a 20 year lease from practical completion. Construction will commence imminently with completion scheduled for the Autumn. This 1.4 acre site is strategically located on the A4 (London Road) which serves the East Reading catchment, situated 1.5 miles east of the town centre. Successfully achieving planning and the forward funding at Reading is another significant achievement for Lateral and strengthens our relationship with M&S in this prime location where they have had a long standing requirement. We look forward to completing the development to allow them to open for Christmas trade. Lateral Property Group were advised by Fawcett Mead. Clay Street acted for the fund.